Built in 1916 as the Emergency Fleet Corporation design 1047 tanker SS Acme for the United States Shipping Board at Union Iron Works, San Francisco, CA. Laid up in the National Defense Reserve Fleet, at Subic Bay, P.I. 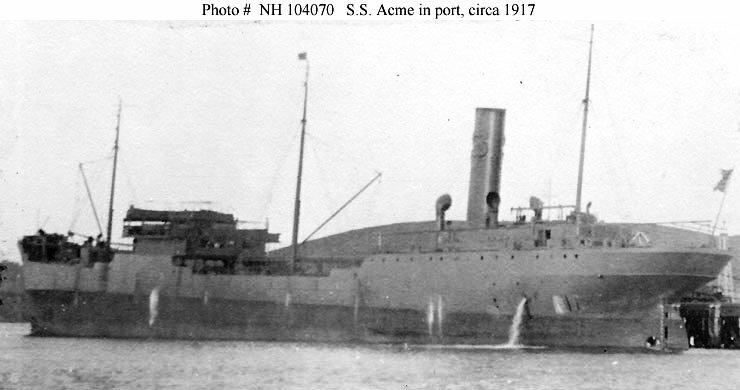 101k SS Acme at anchor, circa 1916, location unknown. 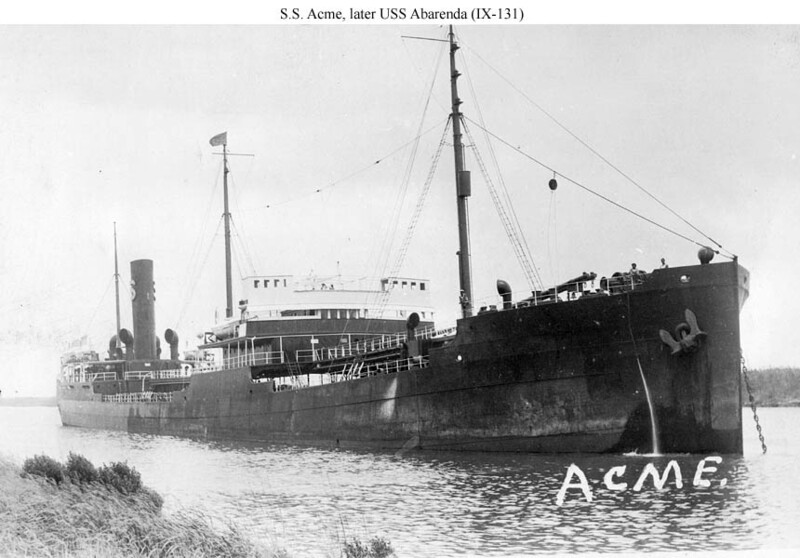 45k SS Acme moored pierside, possibly in the vicinity of San Francisco, CA., 7 December 1917, when she was inspected by the Twelfth Naval District. 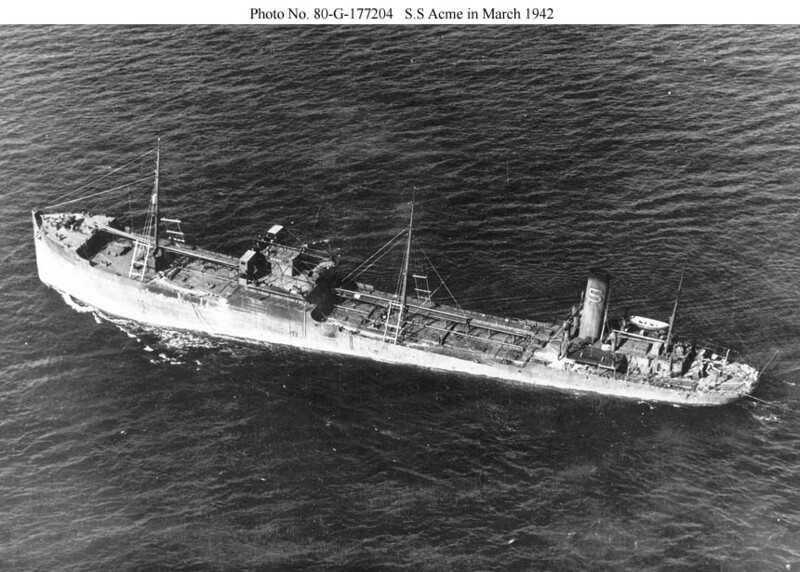 154k SS Acme under tow after being torpedoed in the stern on 17 March 1942 by U-124 off North Carolina. She was abandoned by her crew but was later towed by Navy and Coast Guard vessels to Lynnhaven Roads, VA., and then to Newport News for repairs. 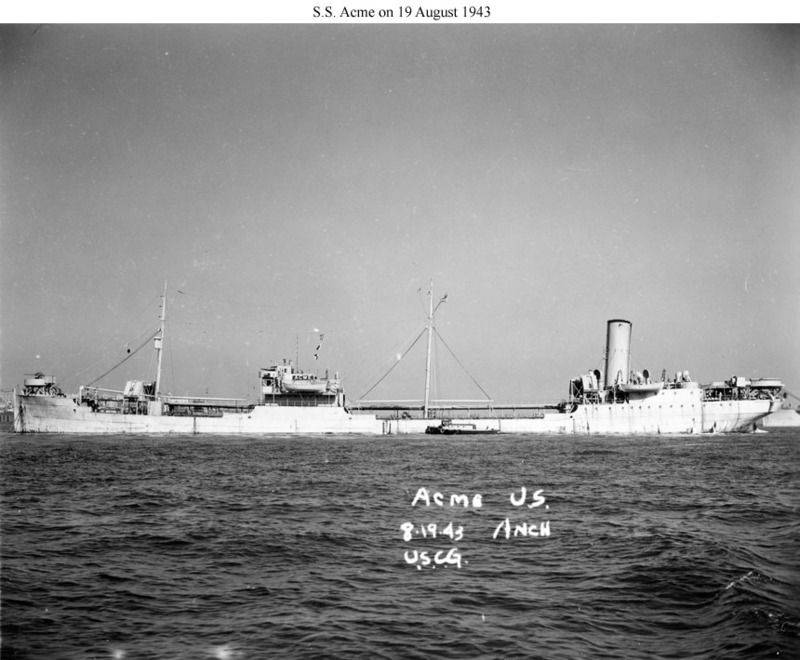 132k SS Acme at anchor, 19 August 1943, location unknown.